Fabre Australia was established in 1970 specialising in parts for BMC and later Leyland vehicles, in particular the Mini. As a natural evolution, the company grew establishing distributorship`s with Manley Performance Products and Rolon Timing Chains, which we still continue to support. With the advent of world engines and the appearance of an increasing number of Japanese and European vehicles in Australia, Fabre moved forward and increased its range to now cover replacement engine and transmission parts to suit these vehicles, from leading manufacturers worldwide. Today, Fabre is one of the industry leaders in the Australian Automotive after market. State of the art computerised stock management and invoicing software allows phone sales staff to gain instant access to availability and pricing information. Our modern warehouse facility is equipped and staffed to handle import container shipments and ensures customers orders are picked promptly and dispatched the same day for destinations throughout Australia. 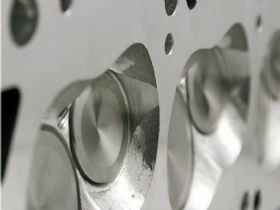 * AE Engine parts - Manufacturer of high quality European piston and ring sets and bearings. * Ajusa - More than 60,000 references in gaskets, gasket sets, cylinder head bolts, hydraulic lifters and camshafts. * ARP - the world leader in fastener technology. * ARGO Race products - Race conrods precisely engineered to deliver high performance. 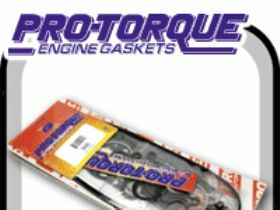 * Cometic Gaskets - Hi Performance automotive gaskets with Multi Layered Steel Head gaskets. * Clevite 77 engine bearings - outperform and outlast all others. * Fel-Pro - the gaskets professionals trust. * Fab Tech Automotive Gaskets - Full & VRS gaskets to suit Holden 253-308 V8. 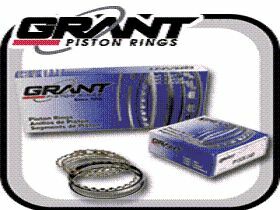 * Grant Piston Rings - ease of installation and maximum efficiency over the life of the engine. * Tex Magna Spark Electronic Ignition - latest technology and components giving maximum performance and reliability. To suit Lucas & Bosch ignitions. 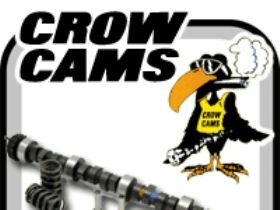 * Manley - valves, conrods, spring locators, valve spring shims, guide plates and valve springs. * Renovo - Unique range of soft top care products. * Payen - an unrivalled range of more than 40,000 different gaskets. * Perfect Circle Piston Rings - worlds largest manufacturer of piston rings. * Rollmaster - Australia`s most comprehensive range of 4, 6 and V8 performance timing chain sets. * Romac Performance Products - harmonic balancers. * Rolon - Australia`s top automotive timing chain. * Ross Racing Pistons - custom made to customers specifications. * Serck Oil Coolers - high performance aluminium and copper/brass automotive Oil Coolers. * Tex Classic - Tex mirrors were supplied as original accessories on most British cars in the 50s, 60s and 70s. * TIK - high quality pistons at an affordable price. * Threebond - OEM specified sealants. 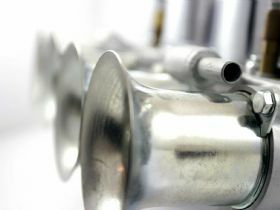 * TopLine - Topline Automotive manufactures and supplies the widest line of engine parts in the automotive aftermarket. * US Motor Works - Complete line of new water pumps. If you are in the market for parts for your classic or you are looking to upgrade your car with performance parts check out Fabres website or give us a call on 1300 350 351. The team at Fabre Australia.